It has been such a long time since I’ve properly shopped for a coat. Every year, I pick up one that looks cute but that’s about it. 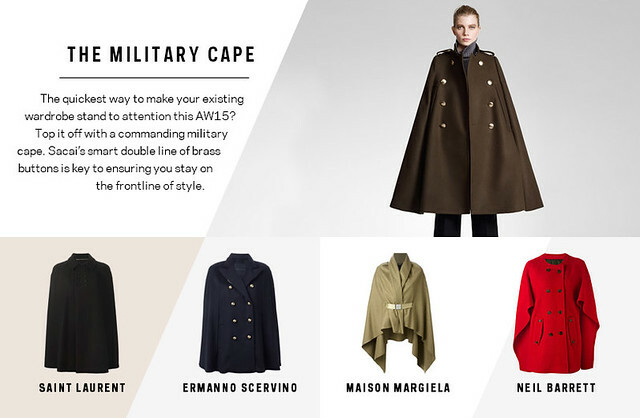 This year, I’ve been thinking about what I want in a coat. 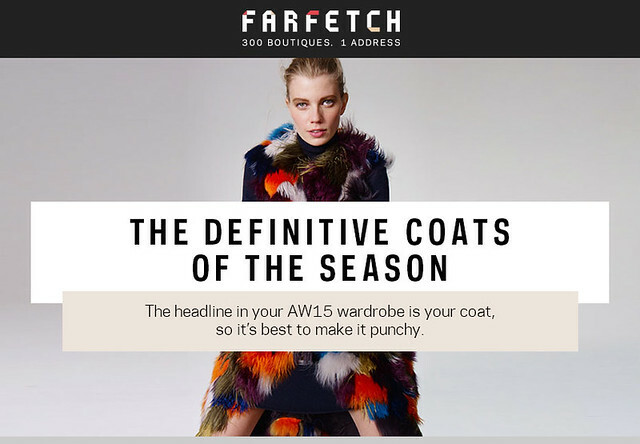 Luckily, Far Fetch sent over their coat guide for this year’s trends. Although most of these prices are out of my budget, I hope these ideas will inspire you as they have me. I don’t usually talk about high/expensive fashion but I do enjoy perusing different styles to get ideas for my own wardrobe. I usually save the best for last, but not in this case. 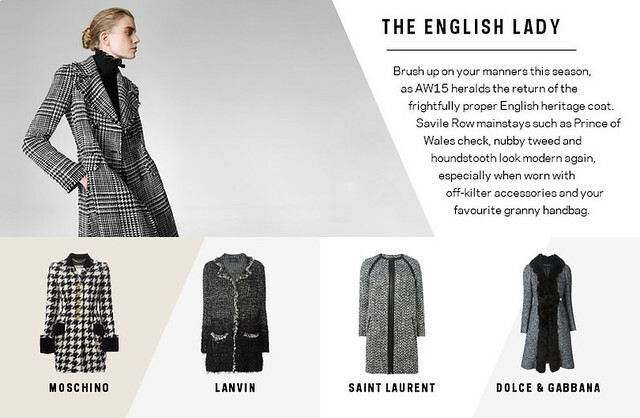 The English Lady is definitely my favorite style of coat. It pulls everything together. 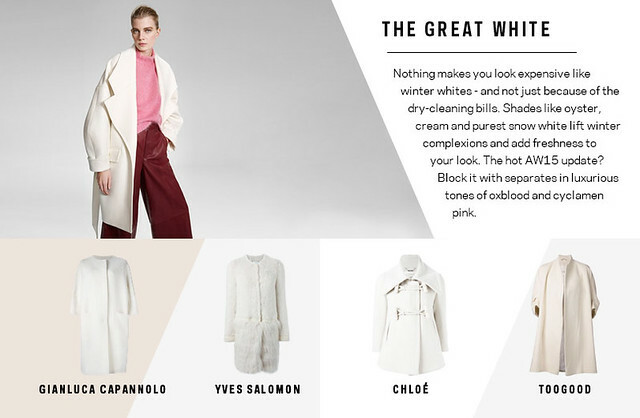 It would be tempting to purchase a bright, fun color to brighten up the winter months, but these monochrome options are much more versatile. I also love this black option from Unif. White is usually a bad idea for me, as I am just as klutzy as our kids. Or rather … they are as klutzy as I. 😉 I love white for other people. It’s so clean and crisp, it would really stand out against the dark winter colors. This Etro coat has a really fun lining. 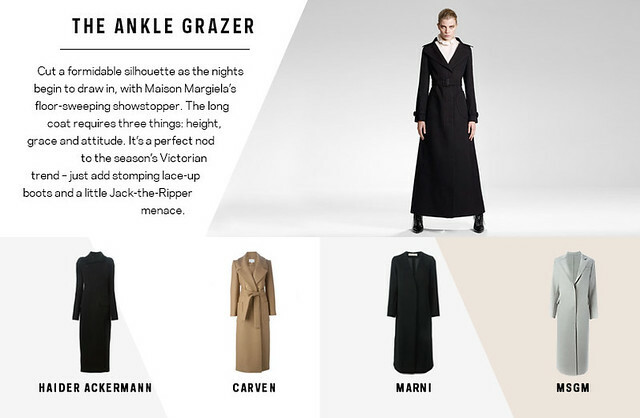 I’ve never considered an ankle-length coat before, since I’m pretty short. I think it looks so cool and classy, but I’m not sure I can pull it off. It’s nice to oogle at them, though! I think this Libertine coat looks cozy. 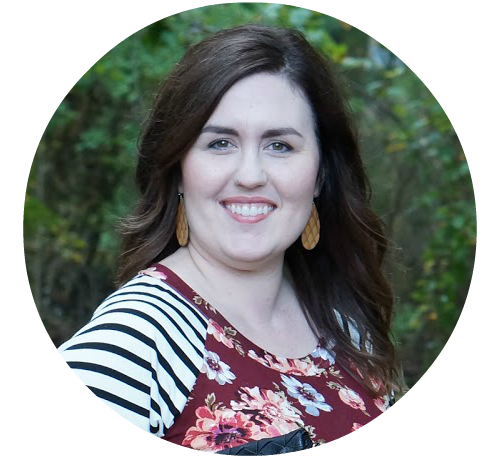 If there is one thing I’ve learned about myself over the years, it’s that I am not brave when it comes to trying new and (very) temporary trends. 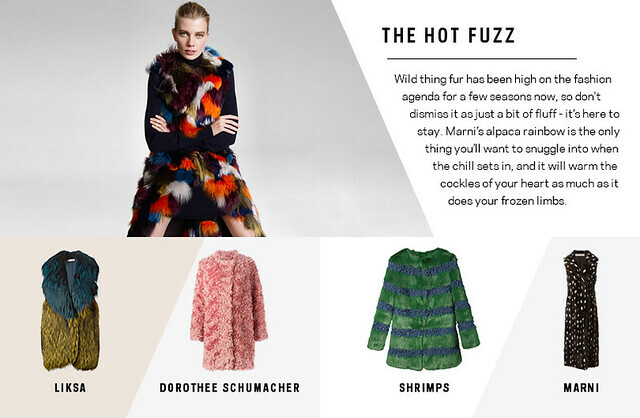 I’ve seen a lot of these fuzzy coats online, but I can’t say I would enjoy wearing one. I imagine they feel like you’re walking around in a blanket, you know? I do think this Liska vest is cool and reminiscent of the 70’s. I still haven’t decided what coat I’m going to buy this year. Stylewise, I’ll be on the look out for something tailored like the English Lady style above. It’s a classic, simple style that will look great for years to come. What kind of coats are you shopping for this year?